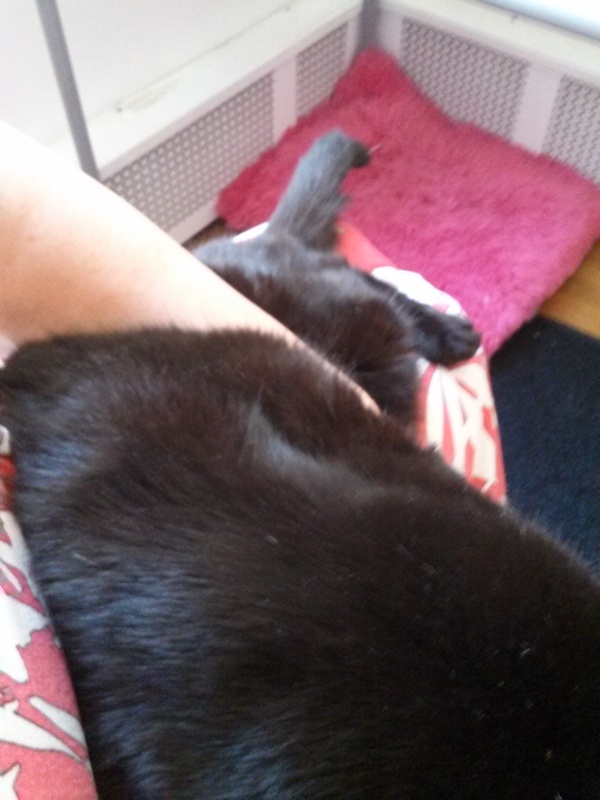 I put Emma on my lap, snuggled up against me. 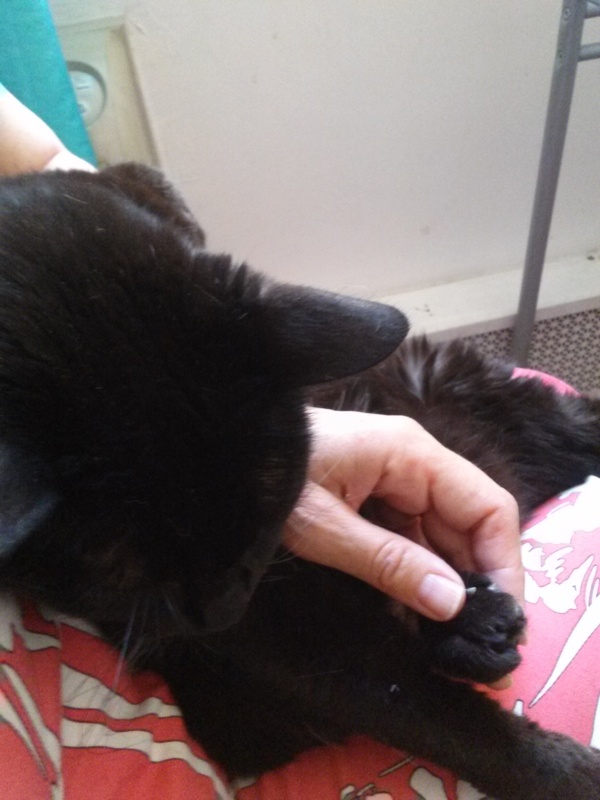 I pull her rear paw forward so it is close to her front paw. 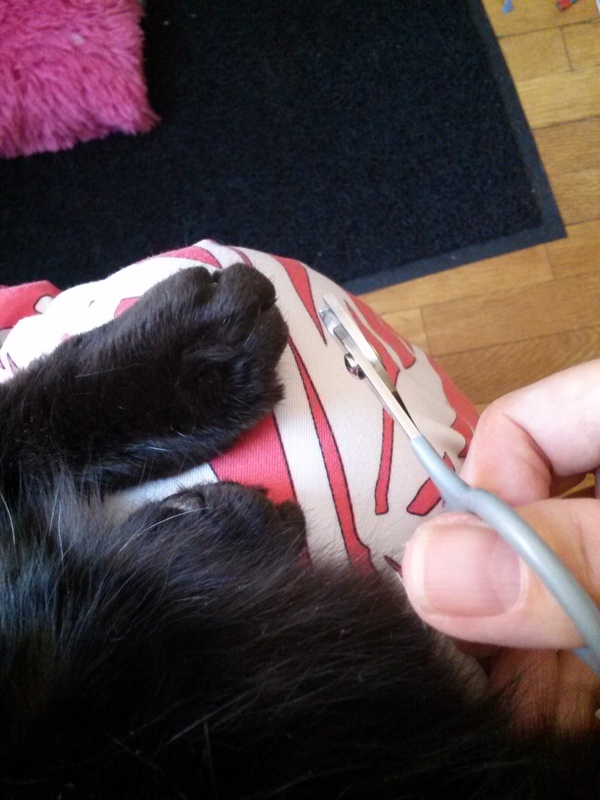 This is the claw trimmer I will use. 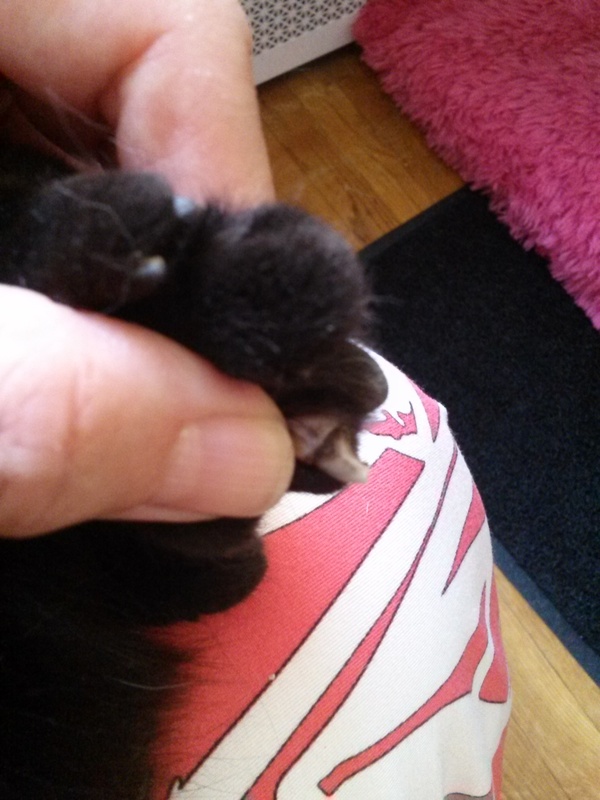 This is the trimmed claw.